NOTE: The beginner's classes will occur on the same days as the regular meeting for the months indicated below and will typically start at 8:30AM in either room 101 or 104 at Casa del Prado in Balboa Park. Check the meeting schedule online or in the newsletter for the exact location for a particular session. The next beginner's class will be with boxwoods (Buxus species) and starts in April with follow-on classes in June and July. 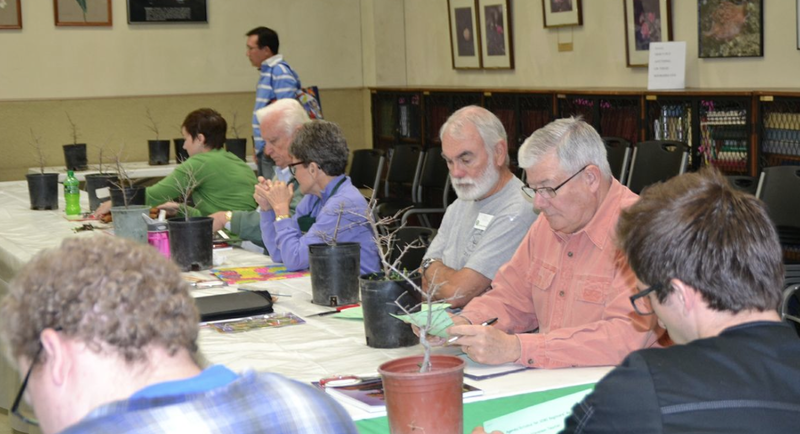 This beginner's class will start in January and will be with Chinese elms (Ulmus parvifolia). Follow up classes will be February and March. Classes can be paid by check, cash or through Paypal on the club website. Your name is added to the list after payment is received. Any questions please email William Graham at wfgraham3rd@gmail.com. Enrollment is available (here online or at meetings) two months before the class begins. Note that classes usually fill up quickly, so sign up early. You must be a club member to enroll in any class.